TA Instruments invites you to experience the world’s finest line of Differential Scanning Calorimeters, the Discovery DSC 2500, DSC 250 and DSC 25. Discover the advanced engineering and attention to detail that provides enhancements in every aspect of DSC technology and a new level of user experience. From the most cost-effective DSC with industry-leading performance, to the most advanced DSC available, there is a Discovery DSC to meet your needs and exceed your expectations. New Fusion Cell™ with patented technology for unrivaled performance in baseline flatness, sensitivity, resolution, reproducibility, and reliability. Exclusive T4P Tzero® heat flow technology for ultimate DSC performance and unique capability to conduct and store heat capacity measurements in a single run. New innovative “app-style” touch screen puts instrument functionality simply One-Touch-Away™, enhancing usability and making it easier than ever to get great data. Reliable linear autosampler with programmable tray positions for worry-free 24/7 operation, most flexible programming of experiments, and automated calibration and verification routines. Modulated DSC®, (MDSC®), for the most efficient separation of complex thermal events. Widest range of refrigerated cooling options eliminates liquid nitrogen expense and ensures uninterrupted subambient operation during extended autosampler routines. Tzero Press and Pans for fast, simple, and reproducible sample preparation. Commitment to quality backed by the industries ONLY five-year cell and furnace warranty for peace of mind. Once again, TA Instruments has set the bar in the science of DSC. TA remains as the only DSC supplier to ensure the utmost in data integrity through thoughtful and innovative design. Best-in-class performance is realized without the need for pre- and post-test data manipulation prevalent in competitive offerings. 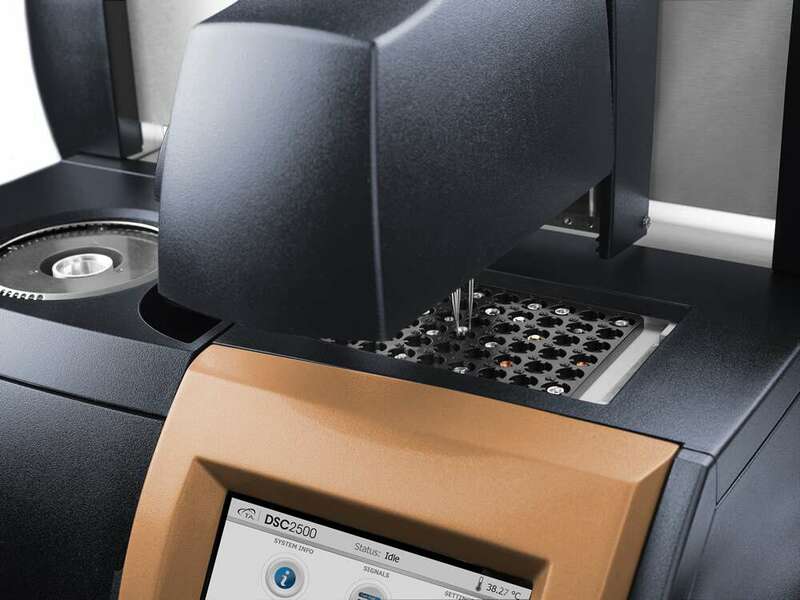 The new Discovery DSC provides both novice and advanced DSC users the highest confidence in generating superior data, while enhancing laboratory workflows and productivity. 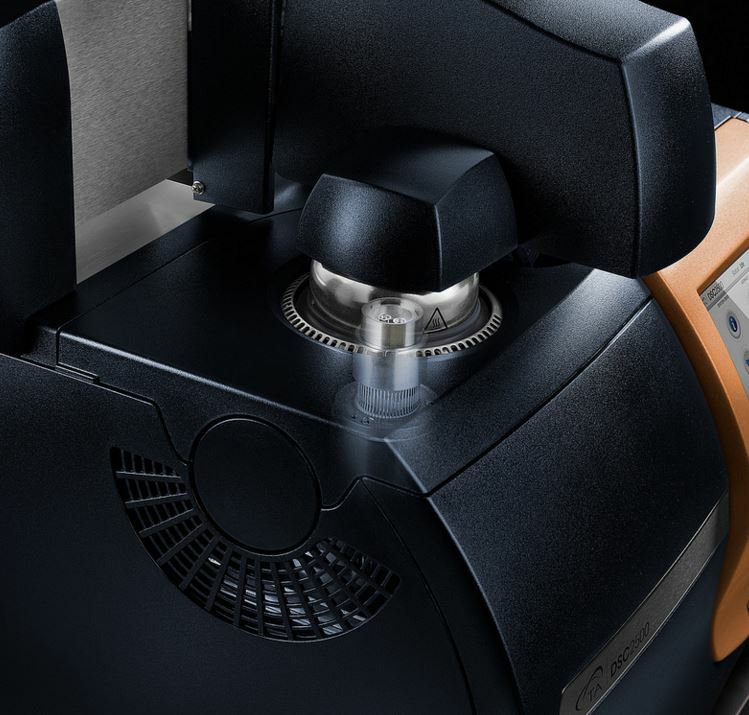 At the core of every Discovery DSC is the NEW TA Fusion Cell™, which incorporates design concepts that “FUSE” together the best features of the world’s bestselling Q-Series and first generation Discovery DSC, patented Tzero® technology, and new proprietary manufacturing processes. 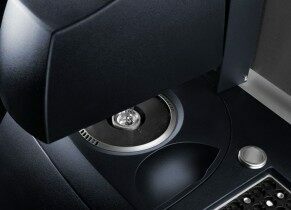 Unlike competitive designs, the Discovery DSC delivers optimum performance with a single sensor, eliminating the need to exchange sensors to optimize a specific performance aspect. 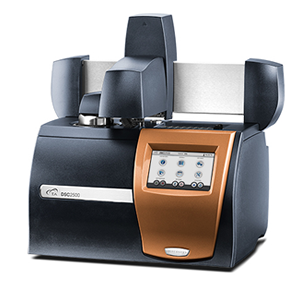 The result is an innovative new DSC with unrivaled performance in baseline flatness, sensitivity, resolution, and reproducibility. Patented Tzero technology measures cell resistance and capacitance characteristics and delivers fundamentally more accurate heat flow measurement, incomparable baseline performance and eliminates baseline corrections prevalent in all other competitive offerings. Fixed pedestal-mounted sensor provides a stable configuration with a well-defined and reproducible heat flow path. Rugged uniblock Silver furnace with long-life windings ensures superior temperature control and uniformity. Unique cooling rods and ring design produce superior cooling performance over a wide temperature range, higher cooling rates, and more responsive heating to cooling operation. Temperature-controlled electronics ensure the utmost in stability and repeatability of measured signals. Innovative Gas-Delivery manifold provides gas switching and consistent, repeatable atmosphere. 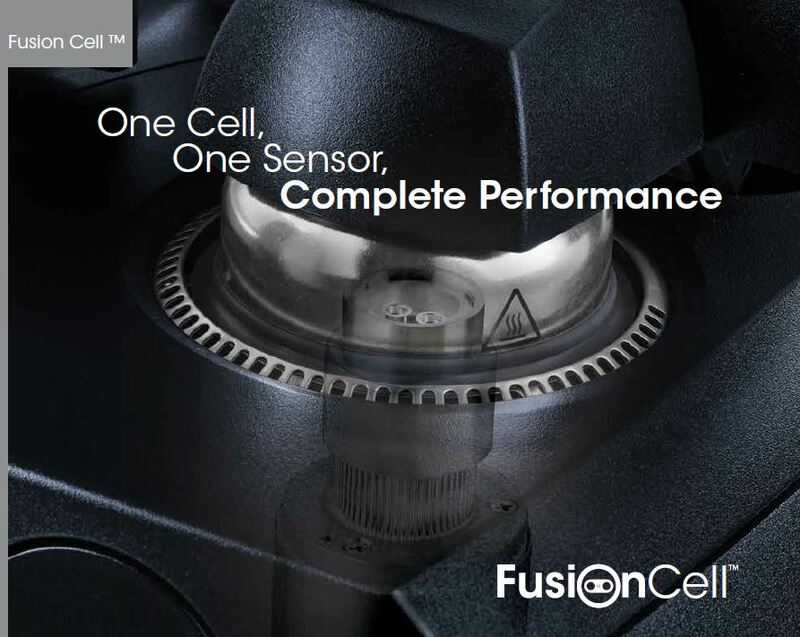 The new Fusion cell delivers the purest real-time heat flow data possible. Additionally, lengthy pre and post-test manipulations, such as baseline subtractions or de-smearing routines by required competitive designs are never necessary. Traditionally, DSC heat flow measurements have been based on the same principle that ASSUMES contributions by the sample and reference sensor to the total measured heat flow simply cancel each other out. If this assumption was true, all DSC’s would have perfectly flat baselines. In reality, they do not. The fact is that each sensor’s resistance and capacitance (ability to store energy) produce imbalances in the heat flow, resulting in deviations from baseline flatness and impaired resolution and sensitivity. ONLY TA Instruments, with patented Tzero Technology, can measure this imbalance. Tzero Technology eliminates complicated pre- and post-test manipulations, such as baseline subtraction, deconvolution or other mathematical treatments competitive designs must use to improve baseline performance, sensitivity and resolution. Patented Tzero Technology measures the resistance and capacitance of the sensors and utilizes these values in the four-term heat flow equation to give the most accurate real-time determination of heat flow available on any DSC. TA engineers have taken this one step further by also including the contributions of the DSC pans. This Advanced Tzero technology, T4P heat flow, provides the sharpest resolution, the highest sensitivity and allows for the measurement of heat capacity in a single run! Flattest baselines available of any DSC on the market, resulting in the purest data without manipulation or subtraction. Highest resolution and sensitivity, without ever needing lengthy pre- and post-test manipulations as required by competitive designs. 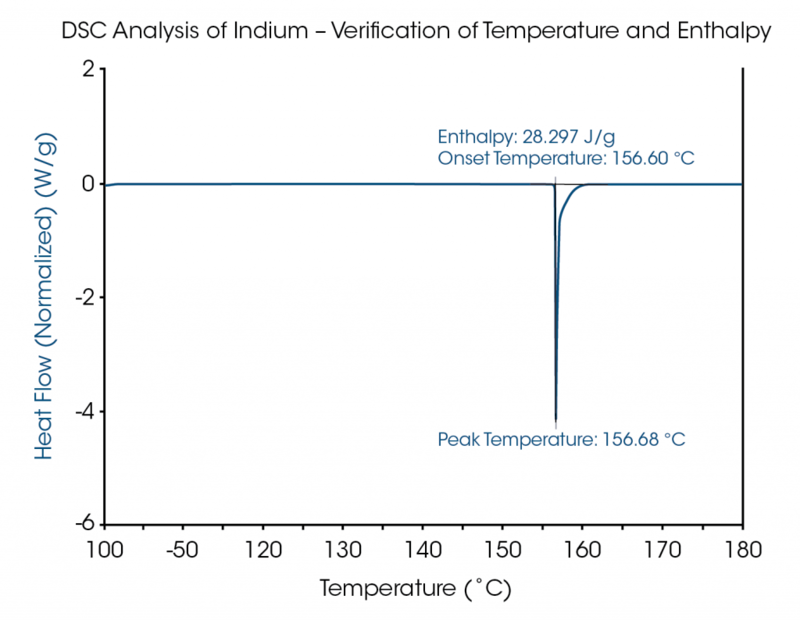 Direct measurement of heat capacity delivering the most uniform and accurate heat flow to and from the sample. By improving every aspect of performance, the Discovery DSC delivers data the user can trust, in all applications, all the time. In patented TA MDSC®*, a sinusoidal temperature oscillation is overlaid on the traditional linear ramp. The net effect is that heat flow can be measured simultaneously with, and independently of, changes in heat capacity. The Total Heat Flow signal contains the sum of all thermal transitions, just as in standard DSC. 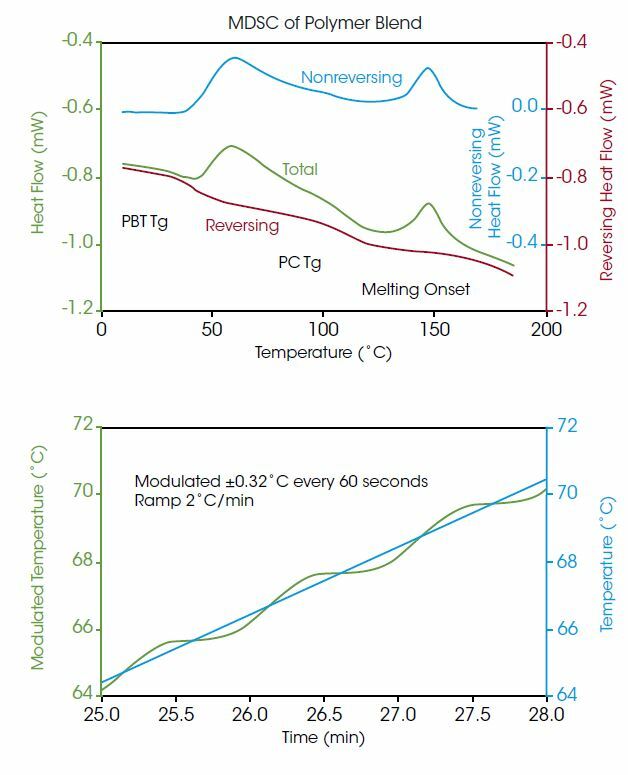 The Reversing Heat Flow contains glass transition and melting transitions, while the Nonreversing Heat Flow contains kinetic events like curing, volatilization, melting, and decomposition. TA invented MDSC and understands it like no other company. 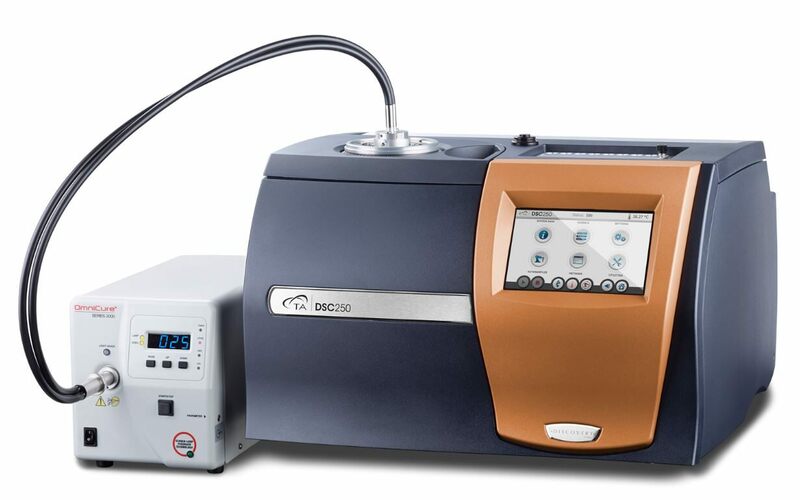 Modulated DSC is standard on EVERY Discovery DSC model. Separation of complex and overlapping transitions into more easily interpreted components. Increased sensitivity for detecting weak transitions. Increased resolution without loss of sensitivity. More accurate measurement of polymer crystallinity. Direct measurement of heat capacity. It’s hard to believe we could improve on the most reliable DSC autosampler on the market, but we did! The new linear autosampler was designed to be even more rugged and simple to use than ever before, while offering maximum in testing flexibility. New Linear X-Y-Z design with integrated auto lid reduces sample loading time for increased throughput and reliability. 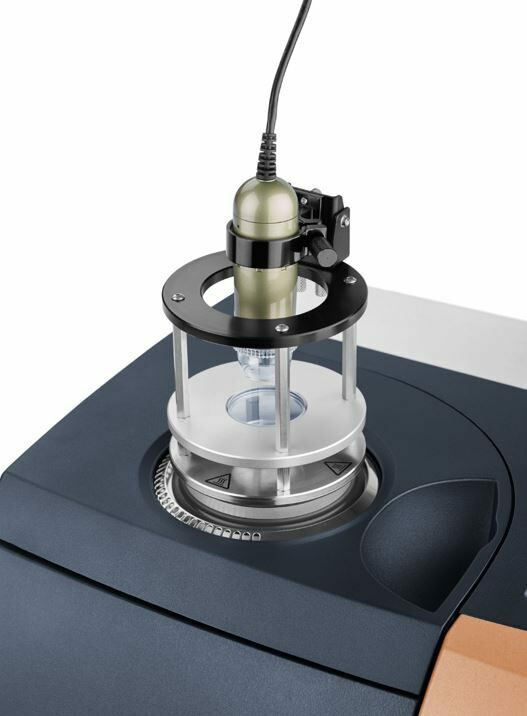 The integrated auto lid gives consistent and repeatable cell closure further improving the repeatability of measurements. New laser positioning system enables one-touch automatic calibration and pan location verification. Scheduled and unattended calibrations and verifications gives scientists more time for research. New TRIOS software makes it easier than ever to manage and run a large and diverse sample queue. The Design view and Running queue allow for quick and efficient autosampler programming. Sample and reference pans may be assigned to any combination of the available 54 positions. Includes two quick-change trays for more convenient remote sample preparation. Convenient design allows the choice of unloading pans back to the tray, or disposing of them freeing space for continuous sample queuing. 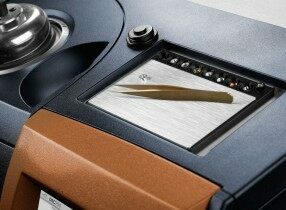 All Discovery DSC’s feature the innovative “app-style” touch screen. 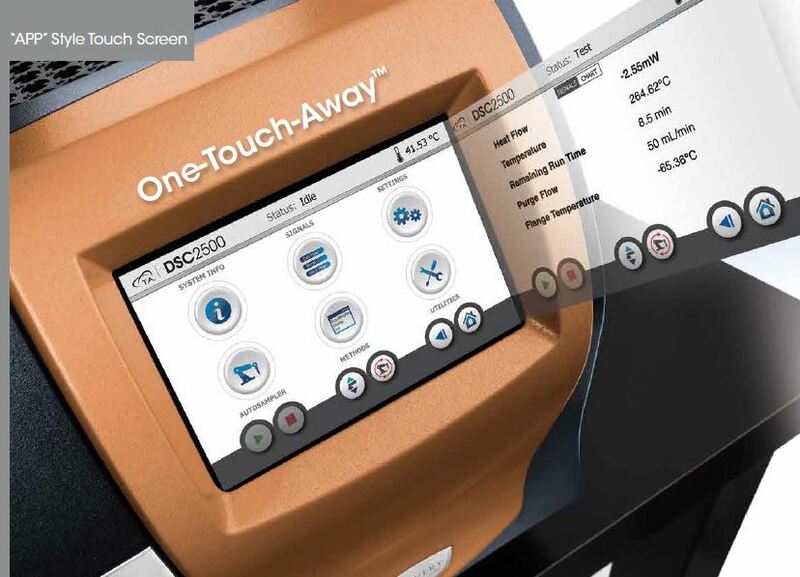 This makes operation easier than ever, with enhanced One-Touch-Away™ functionality. As easy as operating a tablet or smart phone! 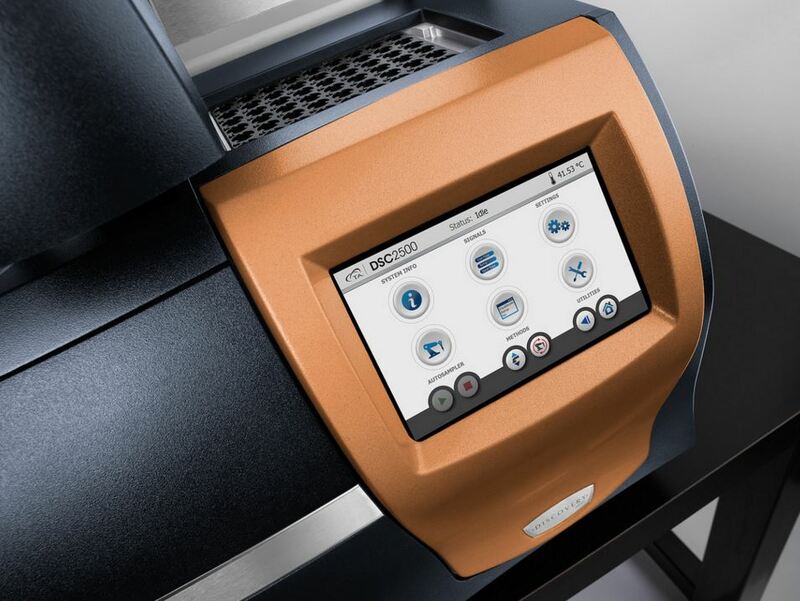 The app-style touch screen, powerful new TRIOS software, the robust and reliable autosampler with automated calibration and verification routines all work seamlessly to dramatically improve laboratory workflow and productivity. Refrigerated Cooling Systems (RCS) Full line of cooling systems, designed and manufactured by TA Instruments, specifically for our DSC’s, featuring the new RCS 120 three-stage refrigerated system capable of temperatures down to -120°C. RCS Features and Benefits: • One-, Two-, or Three-stage refrigeration system that achieves temperature ranges down to -120°C. 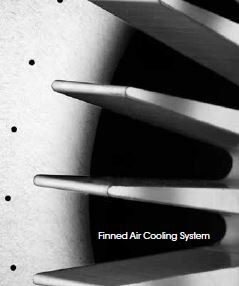 • Sealed system eliminates the need for LN2 cooling system. • Enables cycling, MDSC®, controlled and ballistic cooling experiments. 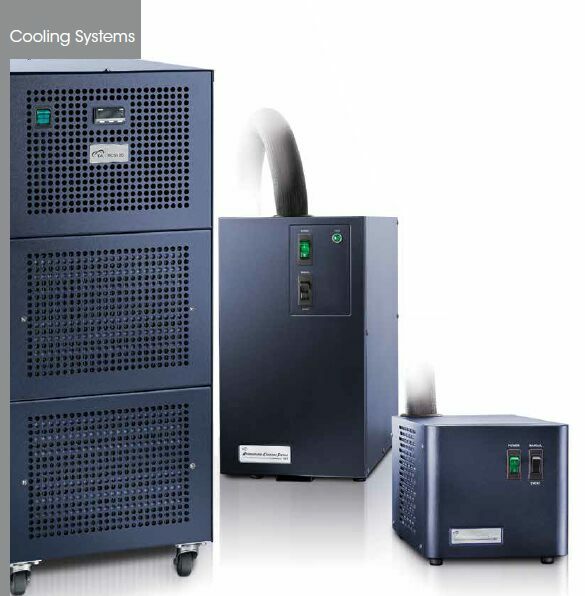 • Safe, convenient, and continuous cooling operation for your laboratory needs. The FACS is an innovative cooling accessory that offers a cost-effective alternative to the RCS or LN2P cooling systems. 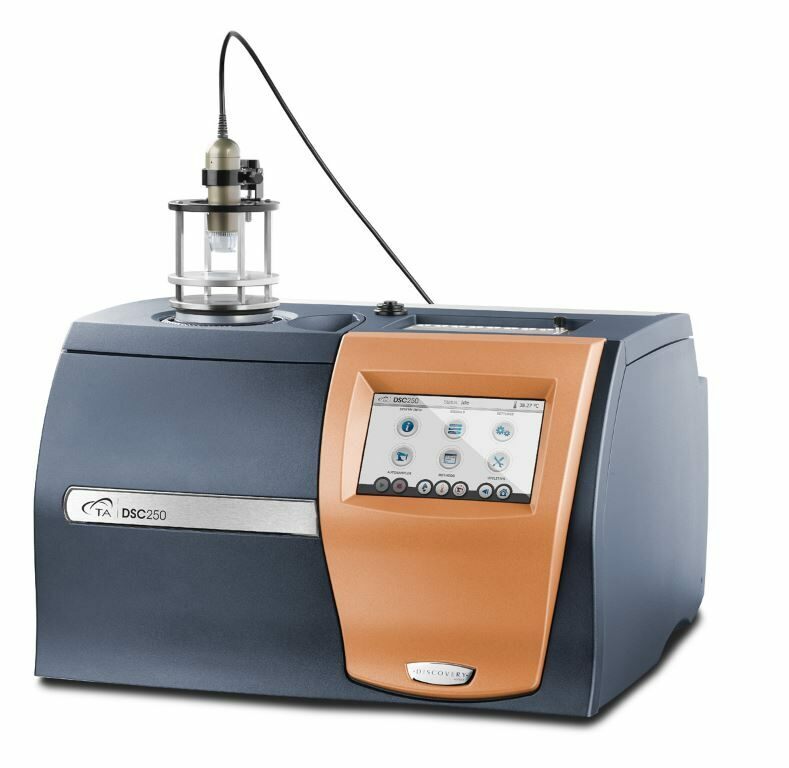 The FACS can be used for controlled cooling experiments, thermal cycling studies, and to improve sample turnaround time. Stable baselines and linear heating and cooling rates can be achieved between ambient and 725°C. The DSC 25 and DSC 250 non-Auto systems can be field retrofitted to the 54-position autosampler. The LN2P provides the highest performance and greatest flexibility in cooling for the Discovery DSC. It facilitates the lowest operational temperature (to -180 °C), greatest cooling rate capacity (to 140 °C/min), fastest sub-ambient equilibration times, and an upper temperature limit of 550 °C. 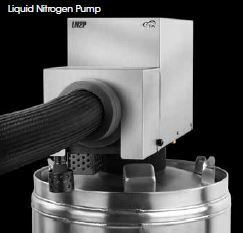 Operating at ambient pressure, the LN2P uses liquid nitrogen efficiently, thus reducing operating costs. It includes a 50-liter Dewar with auto-fill capability which allows the LN2P to be automatically refilled from a larger source, even during a DSC experiment, for continuous DSC operation with no disruption. 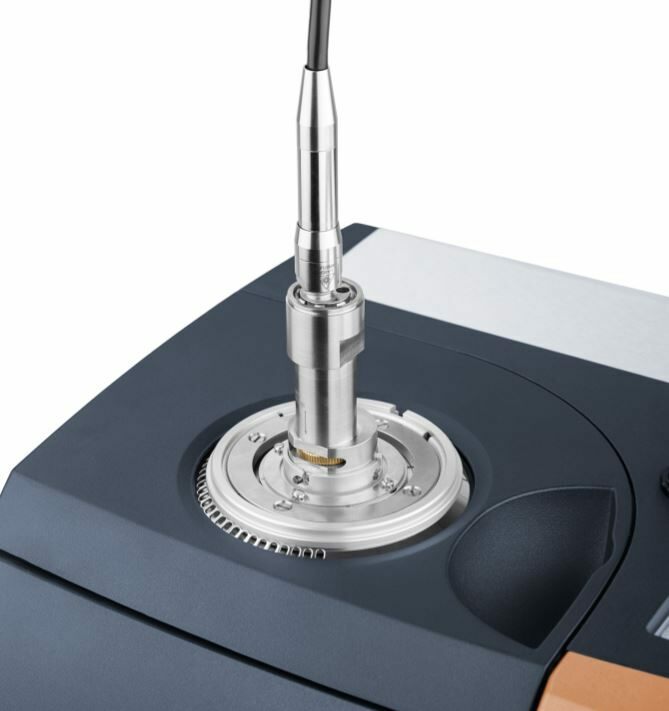 Proper sample preparation is of critical importance to the quality of data generated on a DSC. The Tzero sample encapsulation press and pans take into consideration every detail necessary by design to ensure simple and proper preparation for the highest data quality. Tzero high-performance pans and lids are designed to maximize pan flatness and sample contact. Coupled with the unparalleled flatness and uniformity of the Fusion cell sensor, the Tzero pans and lids provide the most direct, uniform heat flow path from the sample to the sensor. These pans are tolerant of many sample forms and are designed with lids that conform to the top of irregular specimens, efficiently transferring heat to and from the entire sample. Competitive pan designs that have non-flat bases are unable to achieve appropriate thermal contact with solid specimens. Fabricated using advanced technology and to extremely tight tooling specifications, the Tzero pans offer significant improvements in resolution and repeatability over any other pan design. Tzero® DSC Sample Encapsulation Press The Tzero press takes sample encapsulation to a higher level of performance and convenience in conventional and hermetic sealing of a wide variety of materials. The press kit includes four die sets for Tzero aluminum and hermetic pans & lids. Optional die sets are available for high-volume DSC pans and Discovery TGA sealed pans. The die sets are magnetically attached with no tools or adjustments required. In addition, each die set is color-coded to the box containing the compatible Tzero or standard aluminum hermetic pans and lids. The Photocalorimeter Accessory (PCA) permits characterization of photocuring materials between -50 and 250°C. UV/Visible light (320-500 nm) from a 200 W high pressure mercury source is transmitted to the sample chamber via an extended range, dual-quartz light guide with neutral density or band pass filters. Tzero® technology permits direct and accurate measurement of light intensity at both the sample and reference positions without the need for an external radiometer. 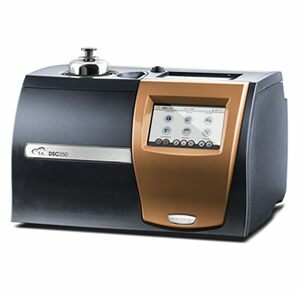 It also provides for simultaneous measurement of two samples. 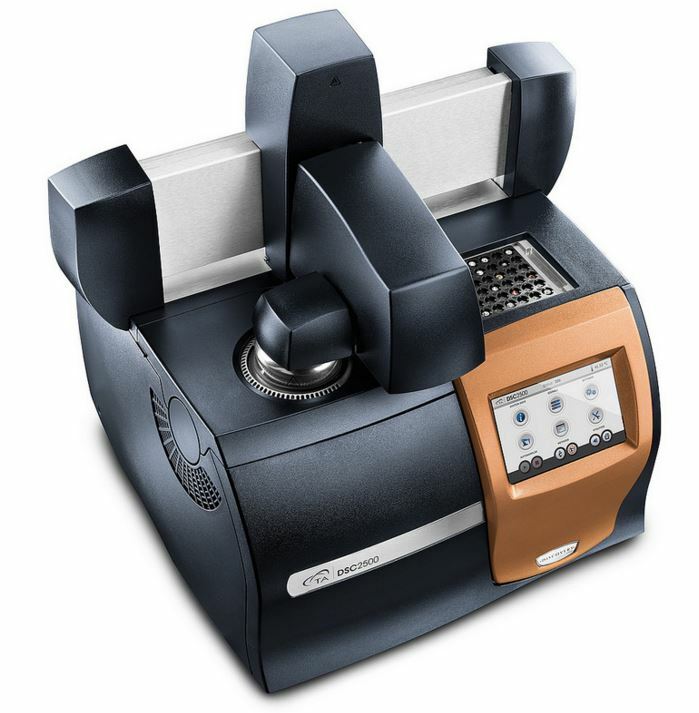 The Optical Accessory Kit provides the capabilities for measuring the calorimetric characteristics of a sample, such as heat flow and heat capacity, while simultaneously collecting information on the optical characteristics, such as Raman, Near-IR and visible changes in the sample. Such measurements can provide information on the chemical or structural changes that are occurring within a material that is complementary to the heat flow data collected by the DSC. A specially designed cell lid assembly allows for direct observation of the sample by the external optical probe while maintaining high-quality calorimetric performance. This flexible interface can be configured to work with many optical systems through the use of an appropriate probe adapter supplied by any 3rd-party vendor. DSC thermograms can sometimes be complicated and difficult to interpret. On many occasions, multiple DSC experiments must be performed to better understand a thermal event. 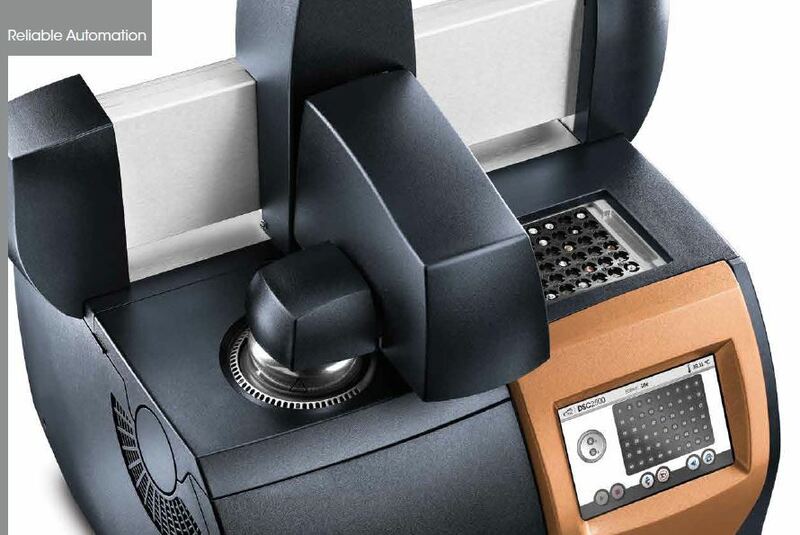 The Discovery DSC Microscope Accessory allows the user to easily view the sample while performing a DSC experiment. This accessory aides in the identification of endothermic solid-solid phase transitions that may erroneously be interpreted as melting endotherms. Furthermore, the experimenter can now observe physical changes in a material as it undergoes phase transitions and volumetric dimensional changes, such as shrinkage, associated with a transition, evaporation or sublimation. The Discovery DSC Microscope Accessory is a high resolution digital microscope camera which simultaneously captures images and video during a DSC experiment. Discover powerful TRIOS software that delivers exceptional user experience in a combined package for instrument control, data analysis and reporting. New features such as automated calibration routines, multiple calibration sets, real-time test method editing, and inter-laboratory data and test method sharing provide unmatched flexibility, while one-click analysis and custom reporting raise productivity to new levels.